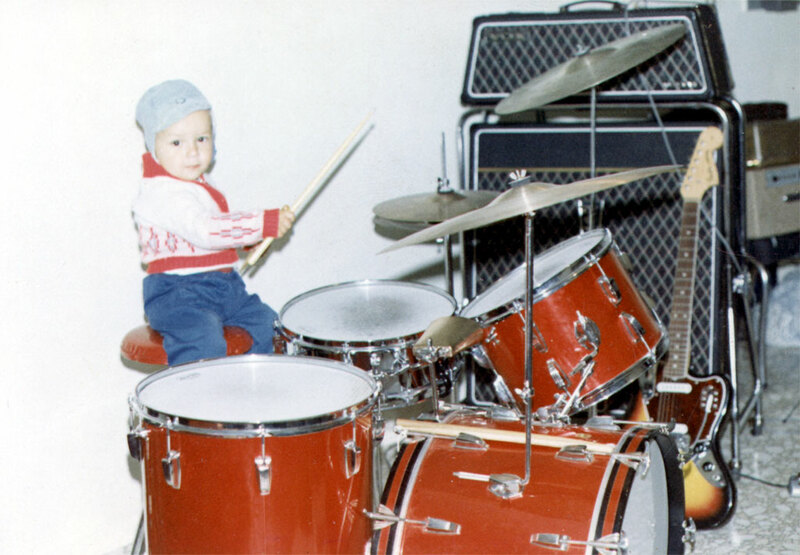 This is where it all started at around 3 years old, it looks like I have discovered something called DRUMS. Little did I know how much of a part of my life they would become. 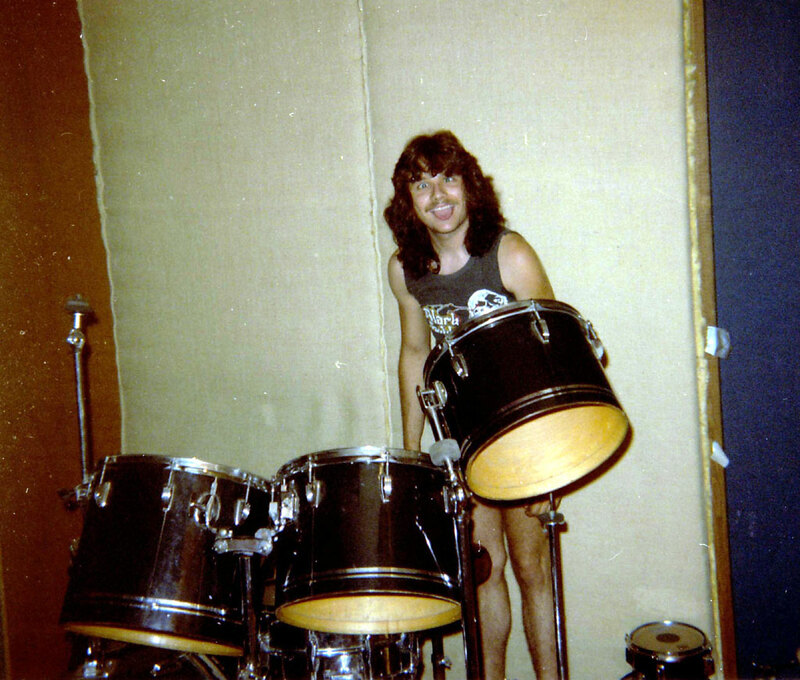 I sure am glad my father had friends that were musicians and having them practice in our basement was pure joy for a kid of 3. 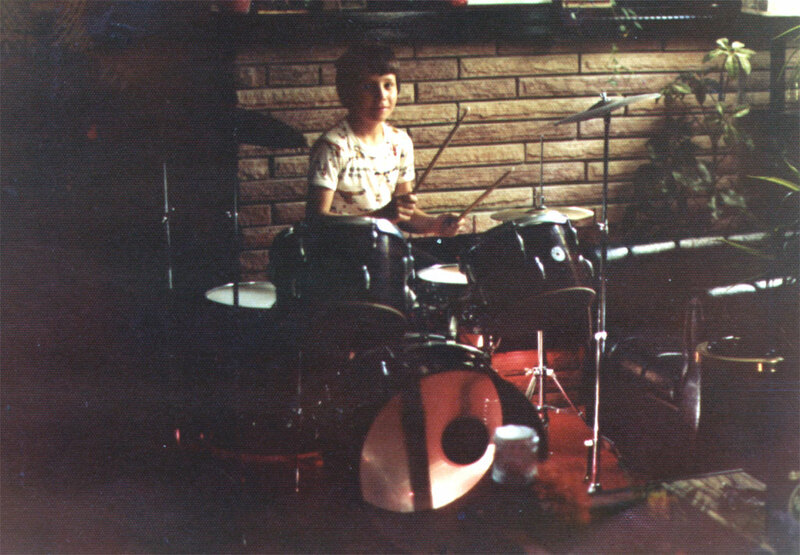 At 7, after a few years of trying to make drums out of carboard boxes, aluminum TV dinner trays and whatever else I could find I then aquired my first drum kit. Ever hear of STAR drums? Sure made me feel like a star back then. 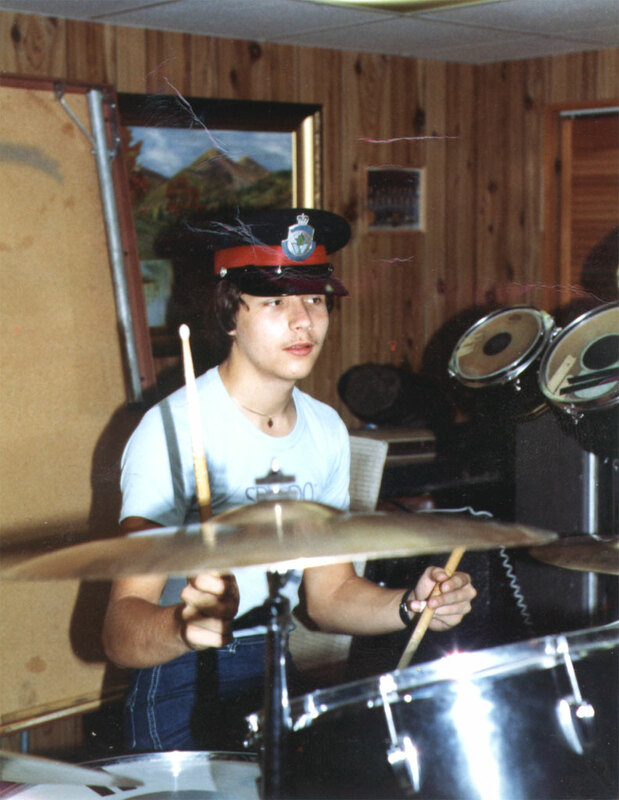 This is when I began my study of drumming. For my 11th birthday, I got my first Ludwig kit, look at that smile! Read my bio and see what my parents had to say after buying me the drum kit. This kit had a 24" bass drum with 4 concert toms. Didn't have the greatest cymbals back them but I was in heaven just from having the new kit. 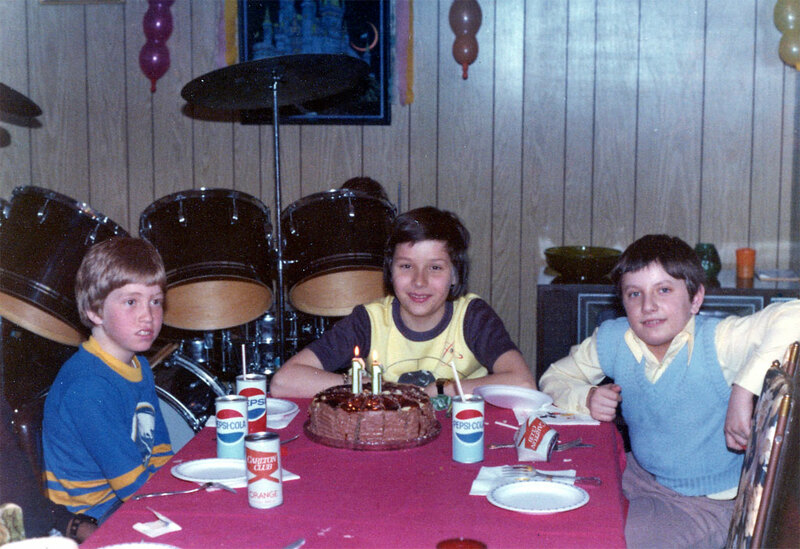 I began taking drum lessons at the Ontario Conservatory of Music right around this time. 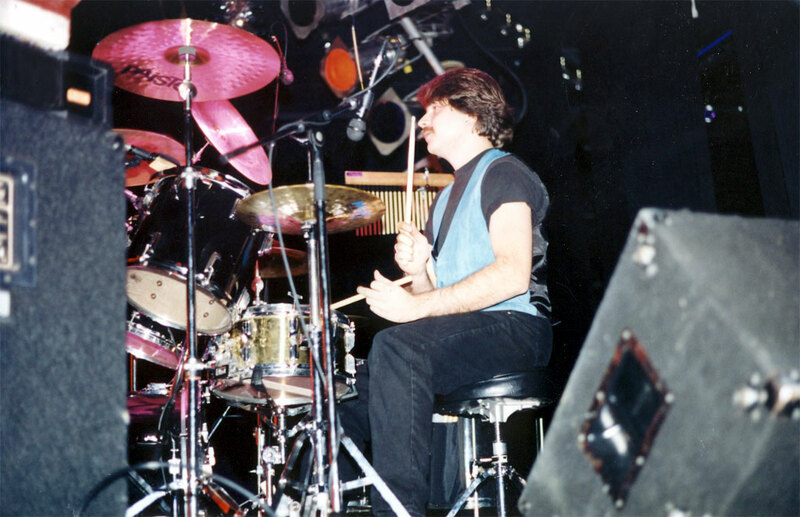 We studied from the Carmine Appice books. 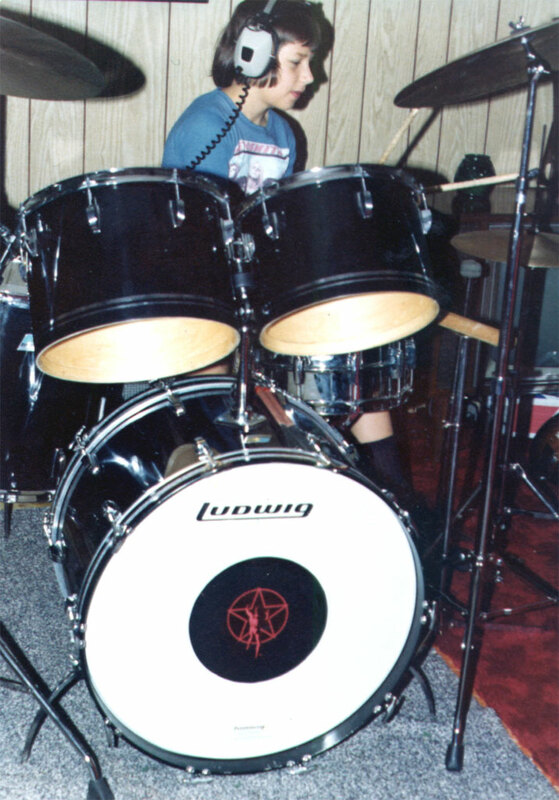 Notice the RUSH logo on my bass drum, guess what I was practicing to in my headphones? Took my kit over to my band mate's place. 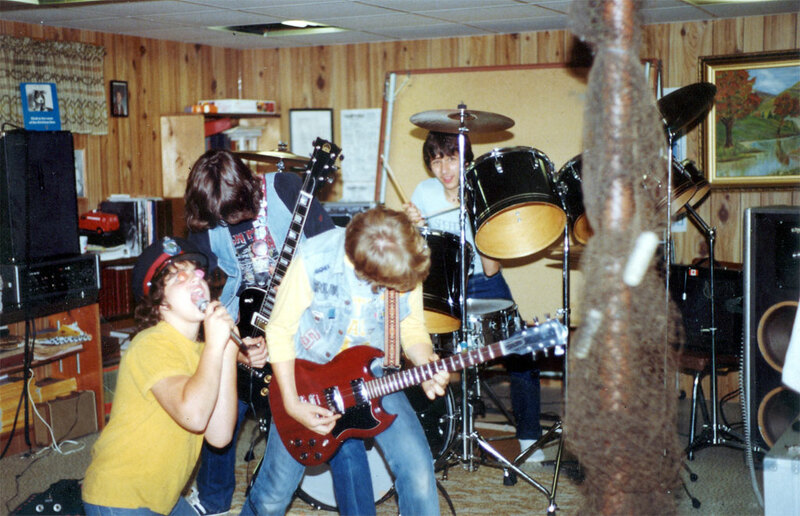 Yes, this was my first band with some high school buddies. We were playing a "SHOW" to a huge audience of 1 person, didn't matter as we felt like we were playing for the whole world. This is when I realized how fun it is to JAM with other guys. 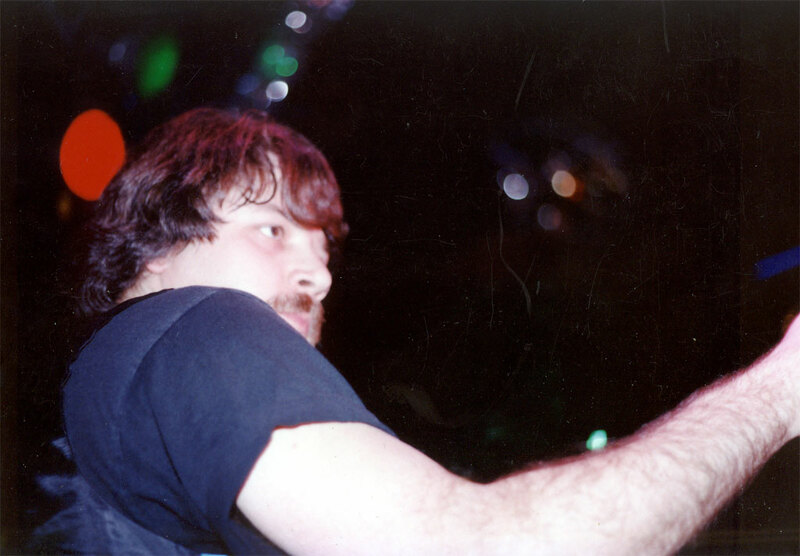 We called the band "Enforcer" and played all the heavey stuff like Maiden, Priest, etc. 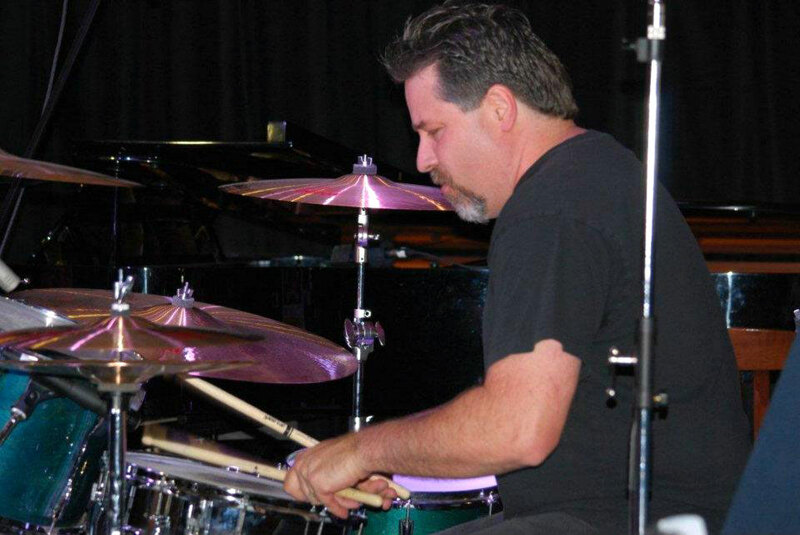 When I practiced alone however, I would still play along to my jazz to the likes of Buddy Rich and Gene Krupa. Doing a sound check at a very famous bar that was around long time ago, the "Coronet". Anyone who remembers this bar will also remember the big name acts that performed on this stage. 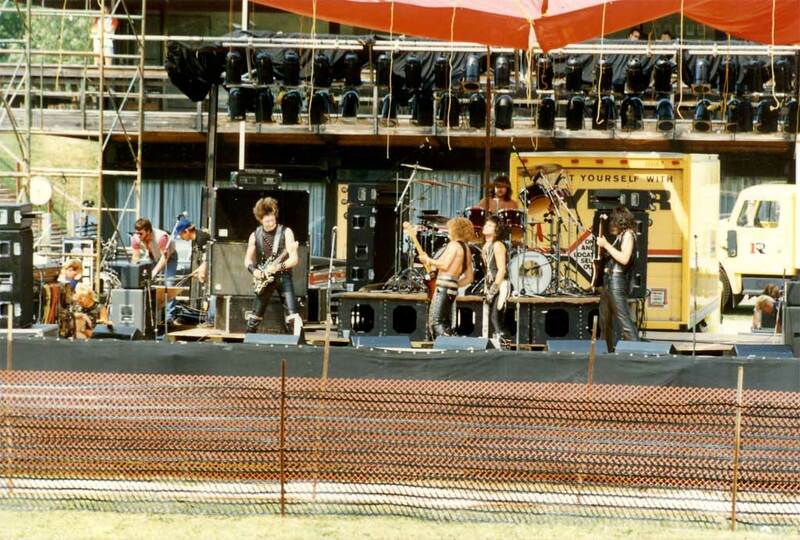 Having some fun with the boys at an outdoor show. We setup at the bottom of a ski hill and had a huge PA system. Back then, we were playing metal. 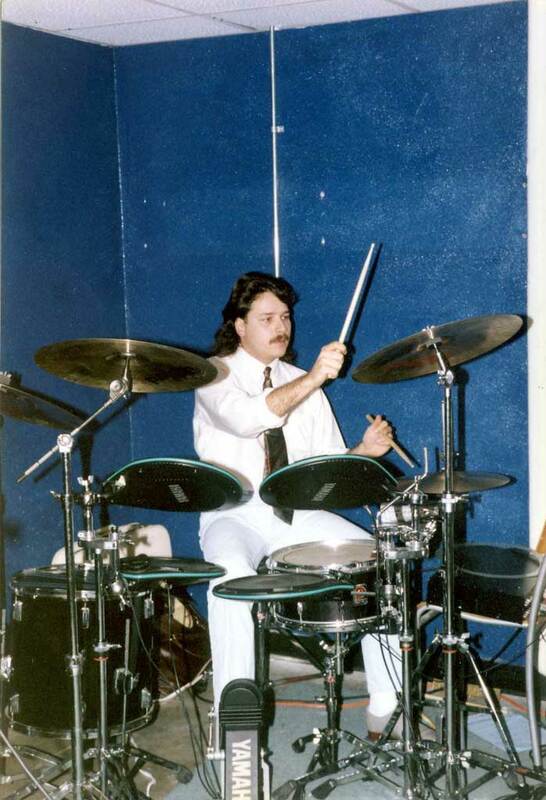 When I was in a band that played all Latin music, I had a chance to play electronic pads. 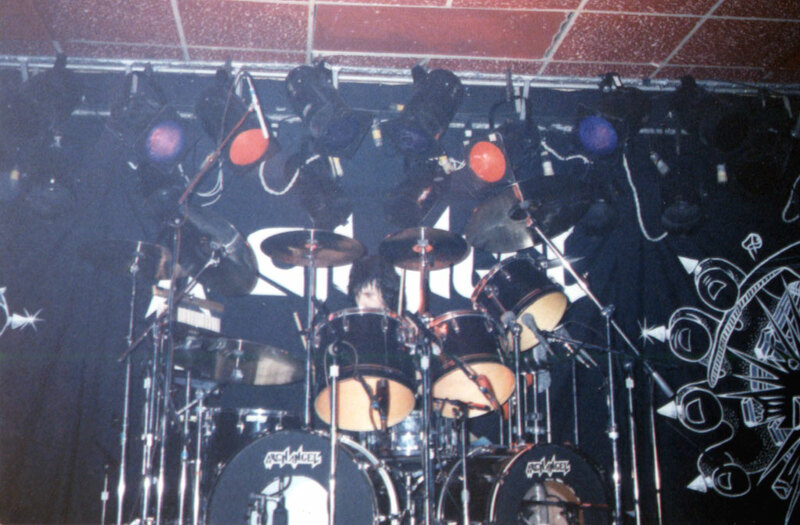 I enjoyed them but I always brought my snare and cymbals to gigs. Sold my Ludwig kit to buy this brand new TAMA kit. 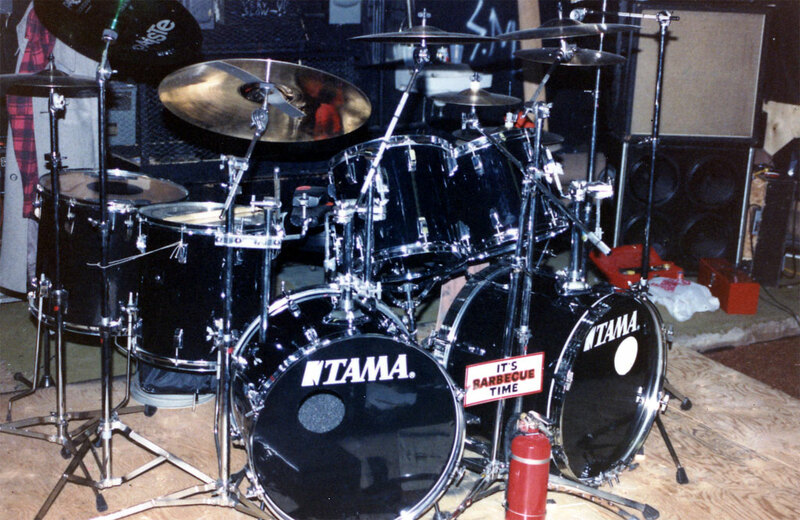 I loved these drums and used them for 15 years.  Double 22 inch bass drums and deep toms. They sounded pretty good on stage when miced through a pa. Intensified in drumming! On stage doing a tribute to Black Sabbath. Still playing traditional. I remember trying to switch over to matched grip but just didn't quite get the feel right. So I continued to play traditional for a few more years. Using a Pearl brass snare with my TAMA kit. Playing a benefit show for a local radio station. 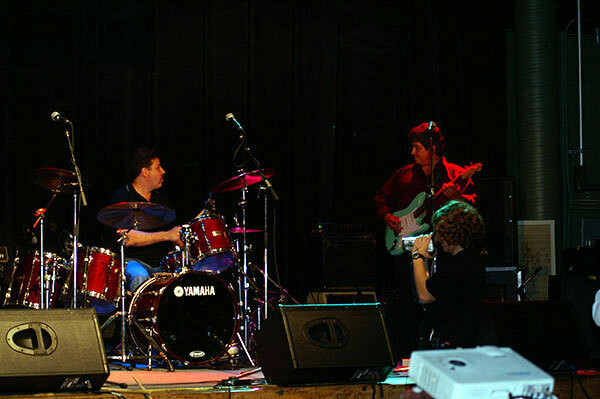 Using a rental Yamaha kit that was setup for all the bands to use that night. Just brought my sticks and away we went. 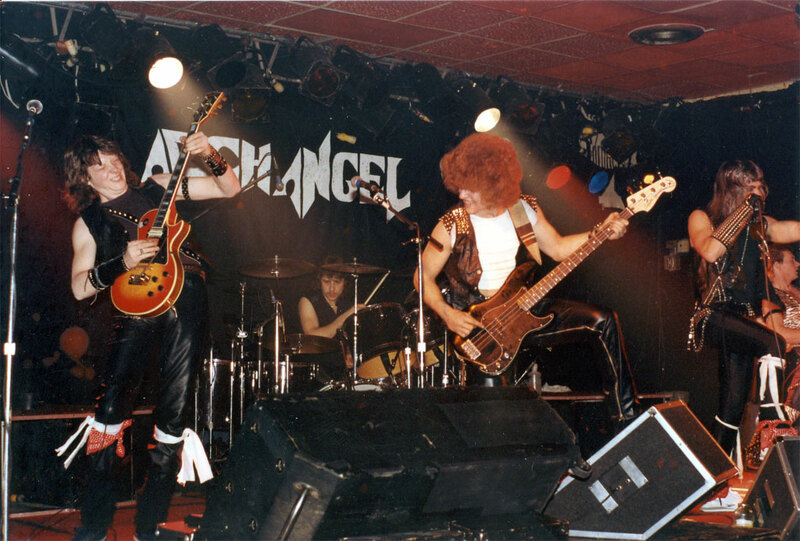 This was one of my first gigs after some time off. 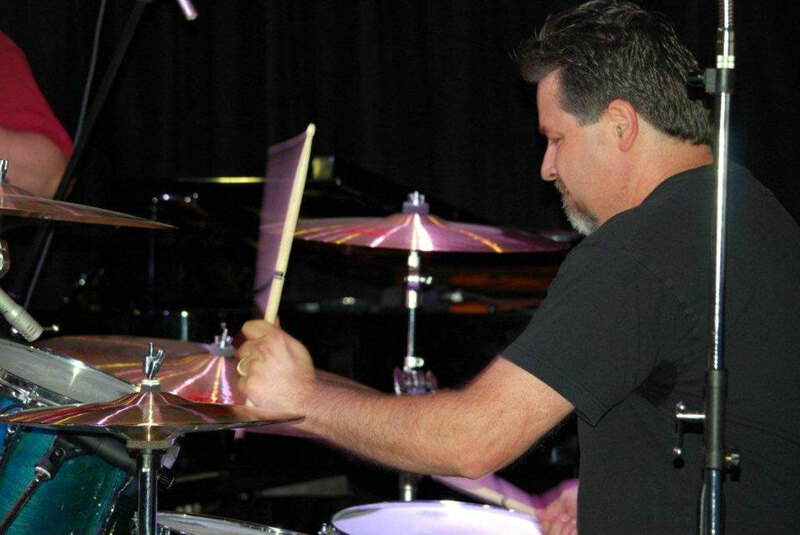 During a drum solo at a jazz club. Wasn't my kit but I did bring my LM402 snare and the Paiste cymbals. Most of the crowd wasn't used to hearing drums pounded so hard, especially being a jazz club. From the reaction I got they wanted to hear more and started pounding on the tables almost as hard as I hit the drums!